Imagine living in a world with easy-to-read nutritional labels and ingredients that you can pronounce. 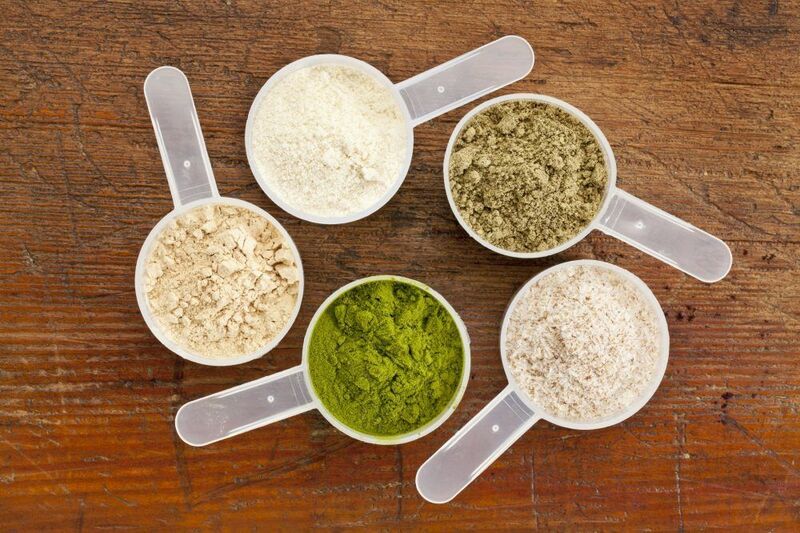 A world where all protein powders are loaded with clean ingredients and healthy for you. In less than five minutes you will live in this world. 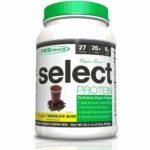 You will be able to spot the best plant-based protein powders and choose the perfect match for you. Brown rice protein has a low-allergen profile and it is great if you are looking for a soy free or dairy free protein. It does not provide all the essential amino acids so it is frequently combined with quinoa, chia, or pea proteins. Benefits of brown rice protein include increased weight loss, reduced glycemic response, and improved liver function. Brown rice protein also regulates cholesterol and is great for the heart and kidneys. Hemp protein powder is well known due to its connection to the cannabis sativa plant. However, hemp protein powder does not produce the effects of cannabis. It also has 20 amino acids. Hemp provides omega-3 and 6 fatty acids and gamma-linolenic acid. This protein has a distinct Earthy taste. Be careful when mixing since it can overpower the other ingredients in your meal / shake. Hemp protein helps with diabetes, heart disease, obesity, skin allergies, and breast pain. Pea protein is gluten free, dairy free, and a great source of branched chain amino acids. It is commonly mixed with other plant-based ingredients that have a lot of protein. Pea protein helps you lose weight, regulate blood sugar, increase muscle thickness and is great for the heart and kidneys. These are some of the most popular plant-based proteins. Other healthy blends can include pumpkin protein, cranberry protein, or even quinoa. Look for plant-based proteins with low amounts of sugar. Your body turns sugar to fat  so it’s best to minimize sugar intake. Milk proteins are found in many protein powders and should be avoided. This is especially important if you are lactose intolerant. They are often used as cheap filler ingredients and can cause bloating and constipation. Most soy proteins are highly refined and genetically modified. They are very acidic and does not benefit your body. This is just a handful of ingredients that you should avoid. You should also avoid protein powders with gluten, dextrin, glucose, fillers, and vegetable oils. Made from pea protein, navy beans, lentil beans, garbanzo beans, and cranberry seeds. The protein mix gives your drink a great taste without the chalky texture and odd aftertaste. 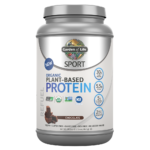 This clean plant-based protein is Certified USDA Organic and Non-GMO Project Verified. An added benefit is that the Garden of Life protein contains probiotics to boost your immune system and improve digestive function. Made from pea protein, brown rice protein, and sacha inchi protein. Also made with gluten-free ancient grains for additional protein. Optimum Nutrition is one of the most trusted brands in the supplement industry, and this product is proving to be one of the more popular plant-based proteins. 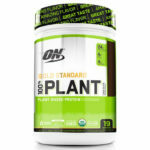 Read our review of Optimum Nutrition Gold Standard 100% Plant-Based Protein. Made with pea protein and brown rice protein. No filler ingredients and tastes great with almond milk and a banana. What do you look for in a plant-based protein?